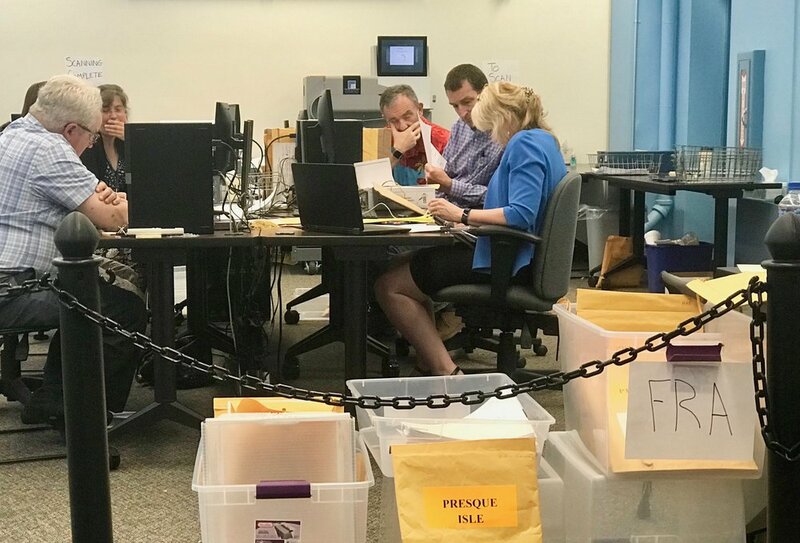 Maine election workers certify ballots before running the ranked-choice voting program to determine the final results of the June 12 primary. A sample ballot provided by the Maine Secretary of State’s office showing how voters may rank-choice their preferred candidates. Maine State House in Augusta. Tabulating multiple choices in Augusta. Maine has more than its share of independent voters, and independent candidates as well, with a record number expected to appear on ballots this fall. Some have been very successful, most prominently U.S. Sen. Angus King, who served two terms as governor before being elected to the Senate. Other independent and third party candidates have spotlighted issues, offered alternative visions, enlivened debates -- and been denounced as spoilers for siphoning votes away from similar candidates who might otherwise have won.